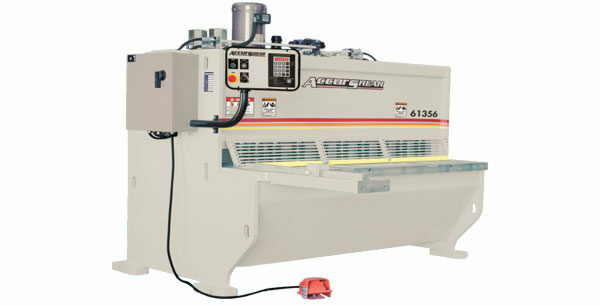 The #1 selling hydraulic shear in North America! 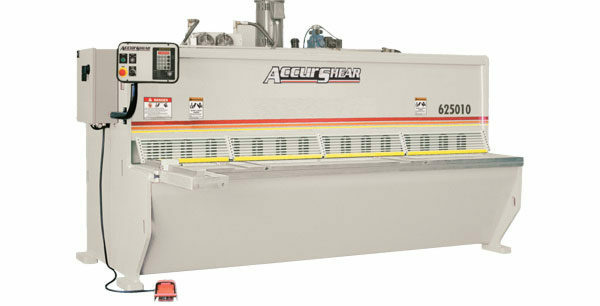 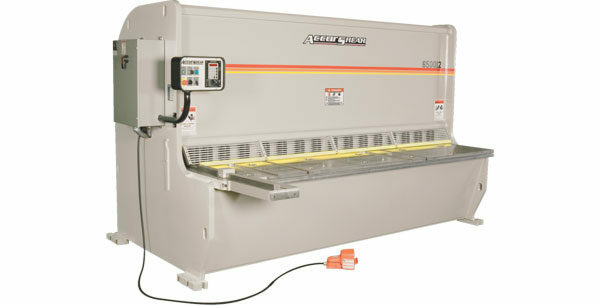 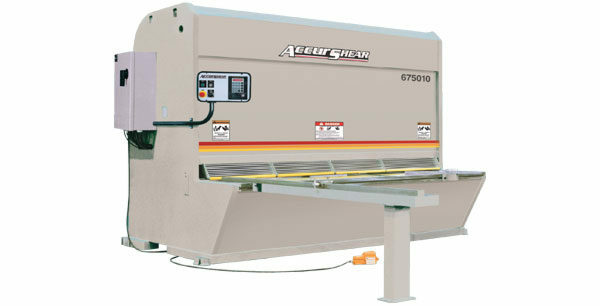 The Accurpress Accurshear is a hydraulic shear whose unique design delivers the strength, power and rigidity of the guillotine system and produces the ease of blade clearance adjustment afforded by the swing link design. 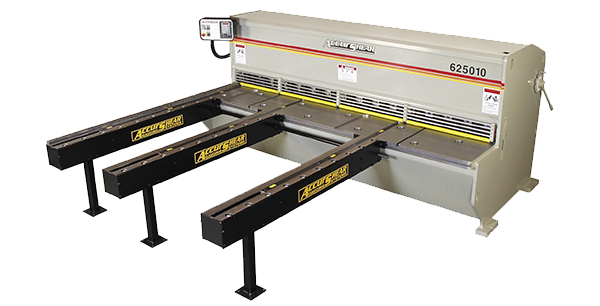 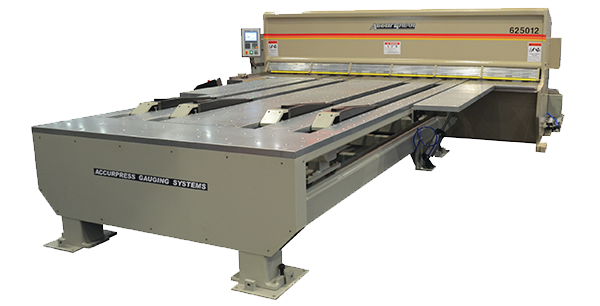 The Accurshear produces a cutting motion through the material that allows the use of 4-edged blades and a 1-degree relief angle shear capacity up to 80,000 tensile and 44,000 yield strength.